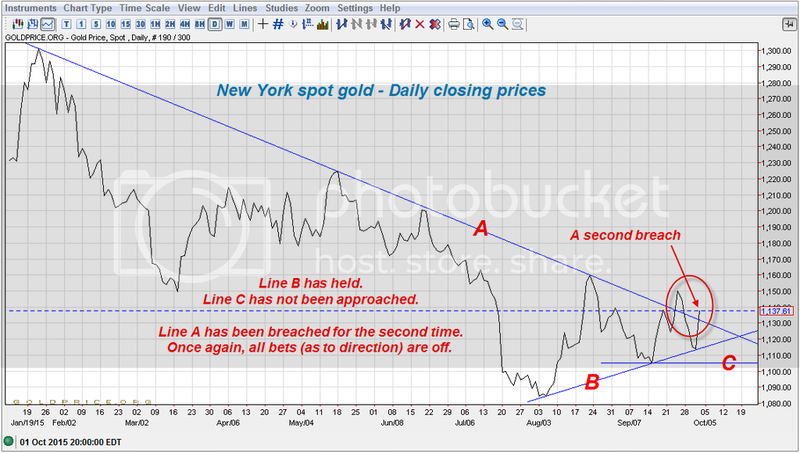 If gold breaks to the downside, [B]$1,000 gold[/B] may be the buying opportunity of the decade. during the early Asian trading day (10:29 am Tokyo time). I just put up a thread a while ago about the 6% dip in one min. Massive selling!! Did not notice this post here. Pulled back up between $1111-1118. (perhaps $1000? ), but who knows what might happen, keeping an eye on the chart anyways. I didn’t mean to imply that price would dive all the way to 1,000 in a straight line. The move to 1,000, if it plays out, might take a couple of months. When price broke to the downside (out of the triangle I posted in June), it broke a significant technical support level at 1,182. Another (possibly weaker) support level will be 1,100, only because it’s a big round number. But, not as “big and round” as 1,000. I think that 1,000 will be a major psychological level. On the chart below, the support level appears to be 980, but that’s close enough to 1,000 for our purposes. I would expect some major battling between the bulls and the bears all over a battlefield defined by 950 -1,050, before the issue is resolved. And, when the issue has been resolved (when the market has chosen its direction), I would expect a dramatic move, either up or down, away from that range. If the $1,000 support lever does not hold, we could see $500 gold in a couple of years. If the $1,000 level holds, we could see $2,000 gold in a couple of years. I expect the latter. But, I’m just a humble forex trader, not a gold analyst. So, don’t put too much stock in my “predictions”. Thank you for the charts. Can i know what software/platform you are using? This site uses a [I]Java[/I] plug-in, which isn’t supported on [I]Google Chrome. [/I] You’ll have to use [I]Firefox[/I] (or possibly [I]Opera[/I]) to run the charting package. I use a screen-capture program ([I]Snagit[/I]) to capture, crop, re-size, etc. the portion of the chart I want to post to the forum. And I use that program to add text, arrows, shapes, highlights, etc. to the chart. Then, I save it to one of the Screen-Shots files on my computer, upload the file to [I]Photobucket[/I], copy the IMG from [I]Photobucket[/I] and upload it to the forum. It sounds tedious, but it’s really just a bunch of mouse-clicks. 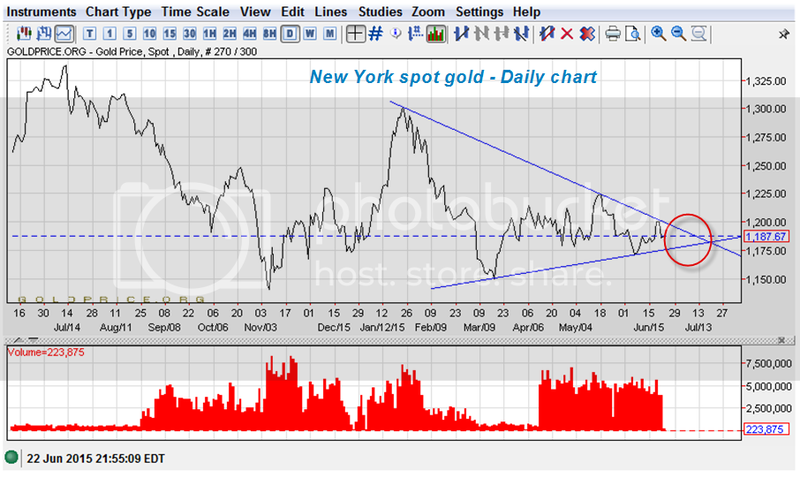 The [I]goldprice.org[/I] charting package is fairly robust. In addition to gold, silver, platinum and palladium spot prices, the package offers gold and silver prices in half a dozen different currencies, the US dollar index, oil prices (Brent and WTI), and 25 or 30 currency pairs. They have the usual indicators and tools, and price overlays are fast and easy. I dabble in physical gold bullion for fun and profit, so I primarily watch the NY spot gold price, rather than futures prices (or the XAU/USD on forex platforms). 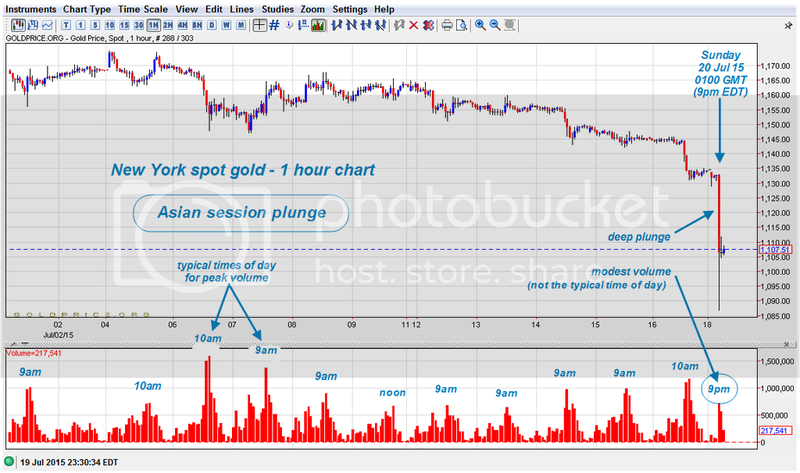 The [I]goldprice.org[/I] site serves me well in my “dabbling” sideline. Also, [I]goldprice.org[/I] is accessible 24/7. So, if your forex platform is closed for some time on the weekend, you can check forex prices and do forex chart studies on the gold site. I just checked the site, it is quite informative, they even have gold coins/bullion as you mentioned. Indeed, gold and silver prices in half a dozen different currencies. This is very useful for me, being fooled before in some countries. I have been a collector for some time. There is something unexplainable about holding the actual investment in your hands (especially Gold) i can watch it for hours. The charts are very user friendly, representable and loading does not take time. Thanks for the site Clint. I m using Opera so it was easy to access. 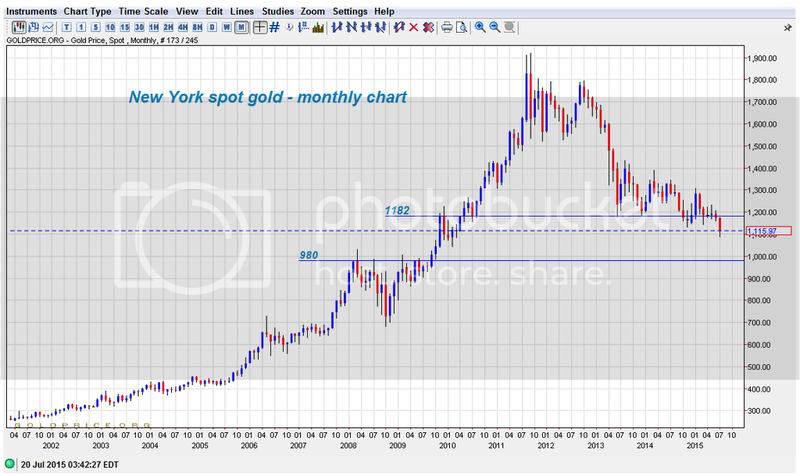 Gold prices have seen a bearish fall from 1800 to 1200. The price action hasn’t matched the expectation story. When Gold was in an uptrend, markets hated it, but when QE started, sentiment shifted to a bullish view, and were disappointed when the yellow metal ignored their heeds and shifted sideways, says Zak Mir. Rodriquez explains that while Gold was seen as a crisis hedge, the story has not led to an increase in prices, this is due to markets favouritism towards cash. When a crisis strikes, they run for cash. The fall in asset classes, which Rodriguez refers to as the ‘synchronised downturn’, remains a concern. The equity markets have remained a pillar for now, but with Gold prices falling, any fall in the equity space, combined with a possible USD rally would form a the perfect financial market storm. 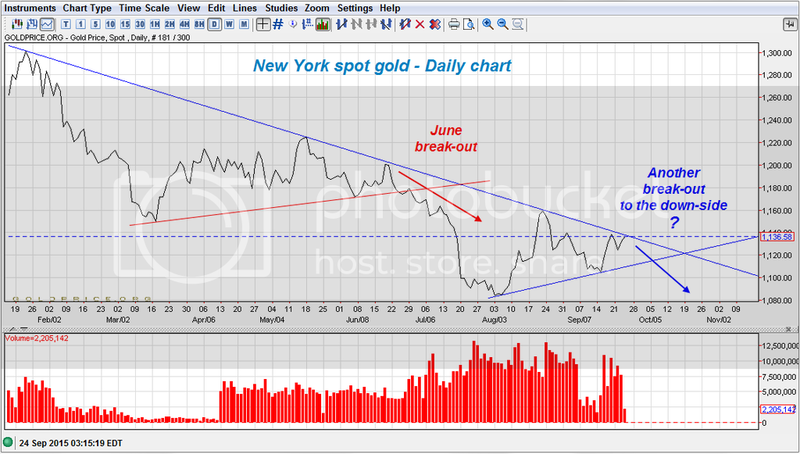 Gold has more downside to go, 1200 remains key, according to Rodriguez. He further prefers remaining a bear for the precious metal till any bullish momentum and upside break is seen in the technical charts. I don’t trade gold short-term. So, I’m not interested in shorting this market at these levels. The ride down from here is likely to be choppy, with lots of knee-jerk retracements. I’m waiting for the collapse to 1000 or 950. Then, after the inevitable dead-cat bounce, I’m looking to go long for a buy-and-hold lasting (potentially) months. 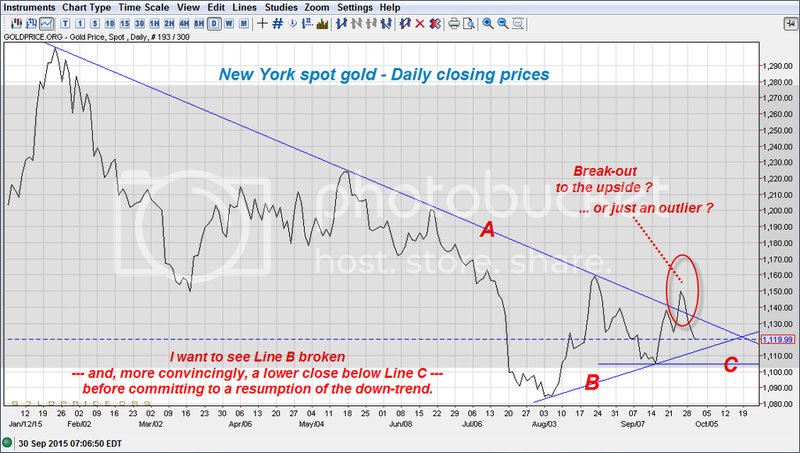 The red triangle and subsequent break-out (red arrow) refer to the "corner"
that gold painted itself into back in June — see Post #1 in this thread. The downward-sloping trend line (which formed in January) has been well-respected. Well, [I]that[/I] statement didn’t hold up very long! Yeah, I had written on my chart last Friday not to sell Gold, was surprised to see it fall on Monday and Tuesday and thought to myself 'so much for using GDX '. I had noticed that GDX (Miners ETF) was an extreme low back on July 21, no big surprise there given that price was likewise - what I had noticed was the very big jump in volume that greeted the move and the sustained increase in volume since. Given that investors in miners try to be ahead of price it seemed odd. Long way yet from any sort of reversal but at least GDX kept me from selling in the past couple of days. Break-out to the upside ? … or just an outlier ? 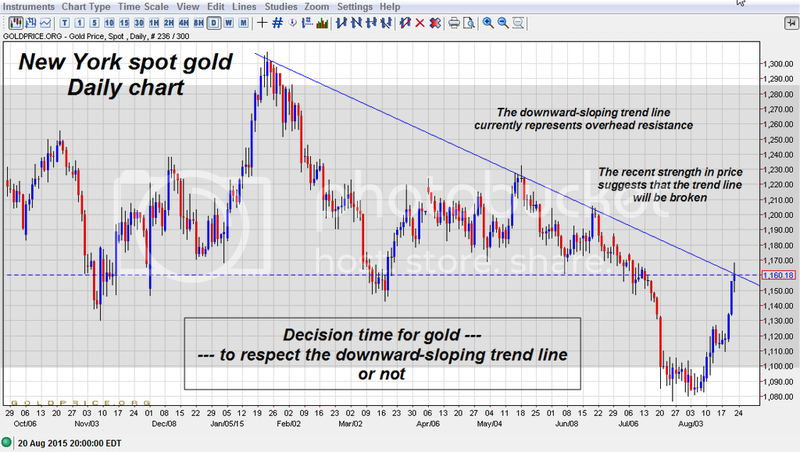 Gold breaches its intermediate-term down-trend line, again. A knee-jerk reaction to NFP ? — Or, a signal of a trend change ? 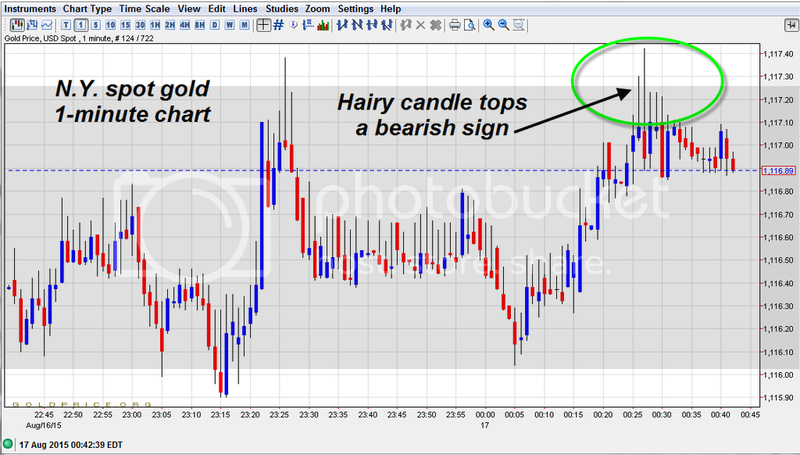 One other thing of interest, Gold traded in step with the 10yr and Usd post NFP. No great surprise in that, the surprise is that Gold didn’t unwind in the same way as the others have done - well not as yet.